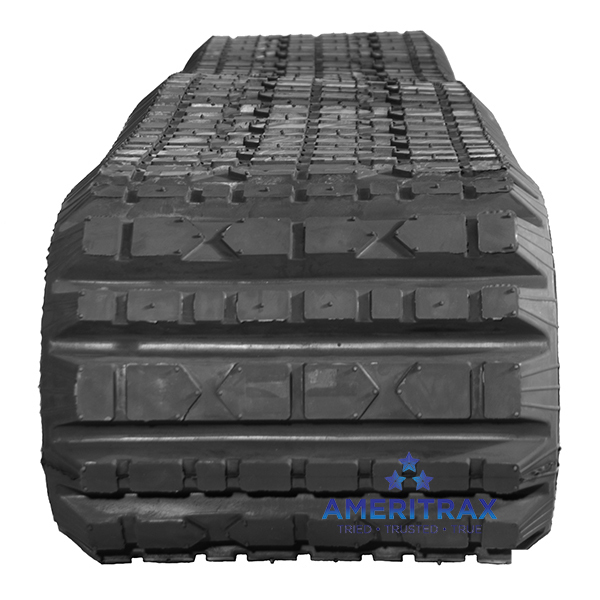 ASV PT50 rubber track by Ameritrax – backed by a Two-Year Warranty, and guaranteed to accurately fit your ASV PT50 compact track loader. Ameritrax uses a specially formulated rubber compound that resists cutting and tearing, regardless of the weather. Our non-metal core rubber tracks, designed specifically for ASV multi terrain loaders, feature multiple layers of Kevlar and cord fabric, creating a durable rubber track. Our ASV PT50 compact track loader rubber tracks also reduce vibration, resulting in lower operator fatigue.